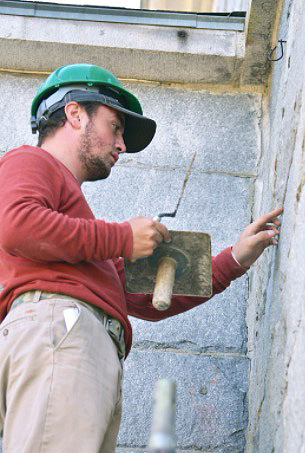 Daniel Wuorio at work repointing at the Kennebec Arsenal. 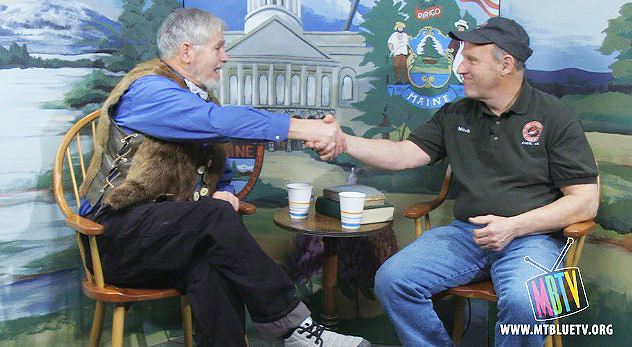 The M.S.M founder Stephen Mitchell with Rep. Tom Saviello. On site at the Kennebec Arsenal. An amazing program, a dedicated leader and a wonderful opportunity for those interested in learning and preserving this skill. 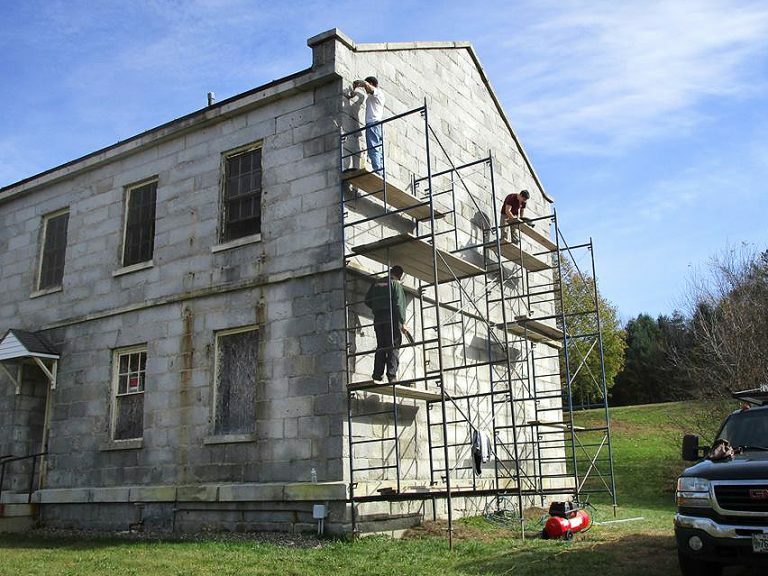 It's a win-win for all...the students learn and the buildings stand tall for a longer period, allowing future generations to see and preserve our history...I'm glad and proud that Steve Mitchell and the Maine School of Masonry chose Avon for it's home. A great school and teacher. Steve Mitchell. Glad to see that the restoration program has been added in the last few years. It is very important for keeping up our historical buildings in every state. Check it out!! !